Ursula Poznanski is an Austrian author, who mainly writes children's books. 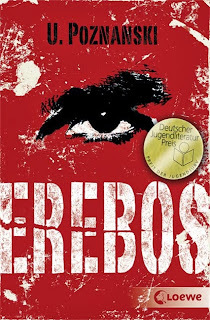 Erebos is a young-adult science fiction thriller set in London. It is about a computer role-play game that is more than just a game! The book is translated into English by Judith Pattinson. The kids in sixteen year old Nick's school are all into some sort of game, passing DVDs around in secret and he is desperate to find out what it is. When he finally gets the white square package from Brynne, he is intrigued by its rules. Always play alone, never talk about the game, and never tell anyone your player name. Erebos is a multi-player computer game and Nick's character is a dark elf called Sarius. The characters have to fight battles and earn points and find wish crystals and all that sort of gamey stuff I understand little about; the ultimate goal of every character is to reach the Inner Circle of five champions who will fight the final battle against Ortolan, the enemy. But Erebos is no ordinary game. It is complex and intelligent and leaks suspiciously into reality; the players are assigned tasks that they need to carry out in real life, the game can tell when they're lying. No one can cheat the game nor hack into it or try to modify it. Most importantly, the game is manipulative; and the few kids who refuse to play have to pay the price. When Nick is sent on a deadly assignment, he has to choose between fantasy and reality. The book is as engaging as the game. I read it in one happy sitting. The descriptions of the game are delightfully vivid. When Nick is playing the game, Sarius takes over the narration and we can easily put ourselves in his shoes! The game draws from Greek mythology and that makes the imagery all the more intriguing. For the longest time, Erebos sounded a lot to me like Cetebos; but of course, that has nothing to do with it. 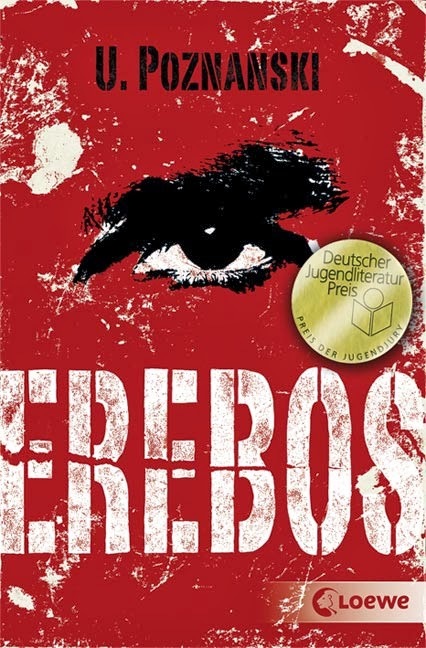 Erebos is the God of Darkness and makes a wonderful name for this dark game. The game isn't so much scary as wicked and it seems to relish the havoc it creates in the schools, the people who are kicked out show signs of withdrawal, becoming mysteriously weak and ill; those who don't participate are goaded by the game and its players to join in the fun, or threatened if they still refuse! When Nick joins his once-best-now-estranged friends to defeat the game, we meet the lovable Viktor, the twenty something gaming expert, who, in the face of bad news, looks like a troubled teddy bear. The romance between Nick and Emily is just gooey enough to not be overdone. And the ending is at once happy, sad and well plotted. I have to say, though, the stereotypes are annoying: the oriental boy, the fat anti-social girl and the shrill girly-girl to name a few. But you'd be crazy not to expect that from school kids and the fact is, when at the end, the authors reveals who each game character was in real life, she does shatter quite a few of the cliches! Like I said, for a young-adult novel, this is pretty enjoyable. The translation is somewhat clumsy, I have to say, no one talks like that (do they? in London?) and there are some German words and phrases that are oddly out of place in that setting. That being said, though, I like Poznanski's writing and am eager to try her adult (I think?) mystery Fünf, which unfortunately is yet to be translated. I would never have read this book had it not been for The German Literature Month. The light and entertaining story was a nice interruption to the the literary writings I usually read this time of the year. Another one for my wishlist, Priya! Lizzy - It's great, hope you do get around to reading it!